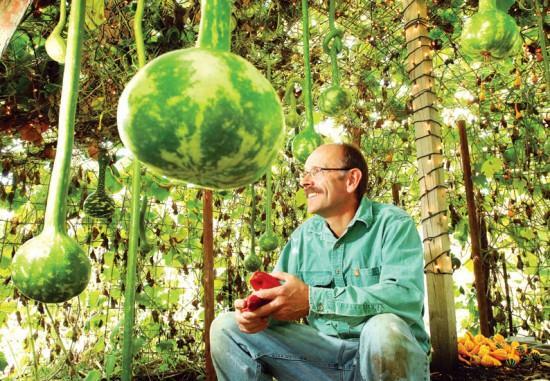 Alan Christensen, a teacher and long-time gardener, takes a break from gardening in a hut he created to grow gourds on. Long and Short-handled Dippers hang down from the canopy that has grown over the hut. Published April 1, 2009 at 550 × 381 in gourds.